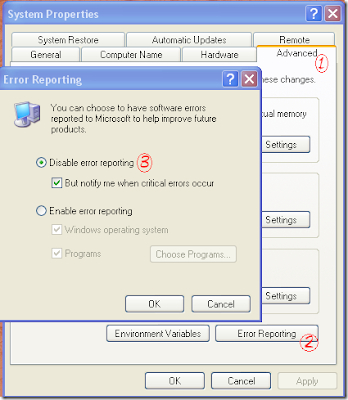 When a severe error occurs in a program, Windows XP will usually halt the program, and then Windows XP ask whether you want to send the error messages to Microsoft. However, you can actually disable this annoying features. 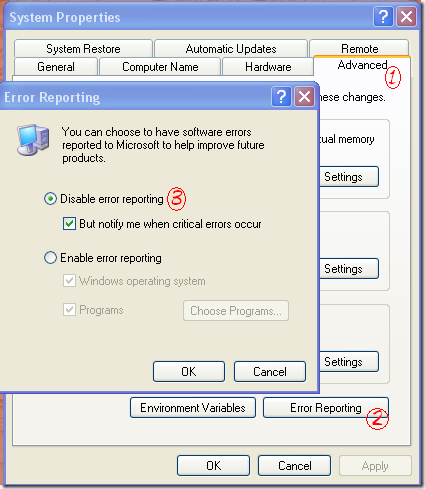 Click on Disable error reporting.